42 deg C ensuring that all the nutritional qualities of the ingredients remain at their peak. Conscious Chocolate is a small cottage industry, with every part of the process lovingly performed by hand. All packaging used is made from recycled materials. 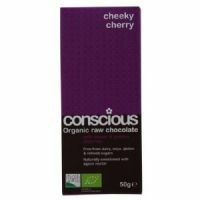 Organic raw chocolate bar with added golden cherries. Free from dairy, soya, gluten and refined sugars. 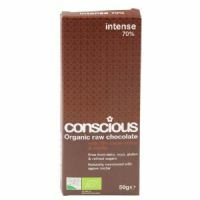 Organic Chilli Hot raw chocolate bar with cayenne pepper. Free from dairy, soya and gluten. 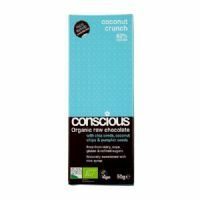 Organic raw chocolate bar with chia seeds, coconut chips and pumpkin seeds. Made using 60% cacao. 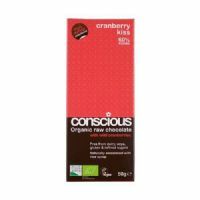 Organic raw chocolate bar with wild cranberries. Made using 60% cacao. 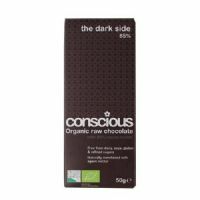 Organic raw chocolate bar with essential oils of orange and tangerine. Free from dairy, soya, gluten and refined sugars. 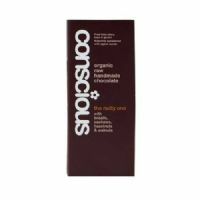 Organic raw chocolate bar with 70% cacao solids and vanilla. Free from dairy, soya, gluten and refined sugars. 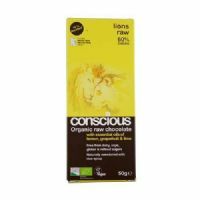 Organic raw chocolate bar made with 60% cacao and essential oils of lemon, grapefruit and lime. Free from dairy, soya, gluten and refined sugars. Support white lion conservation. 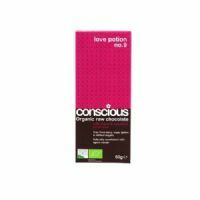 Organic raw chocolate bar with maca and essential oil of rose. Free from dairy, soya, gluten and refined sugars. 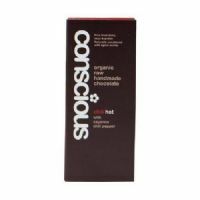 Organic raw chocolate bar with essential oil of peppermint. Free from dairy, soya, gluten and refined sugars. 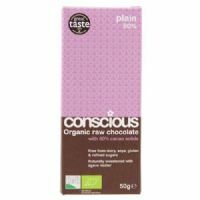 Organic raw chocolate bar with 60% cacao solids. Free from dairy, soya, gluten and refined sugars. 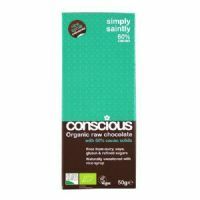 Organic raw chocolate bar with 85% cacao solids. Free from dairy, soya, gluten and refined sugars. Organic raw chocolate bar with brazils, cashews, hazelnuts and walnuts. Free from dairy, soya, gluten and refined sugars. 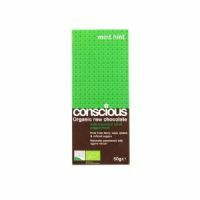 Organic raw chocolate bar with maca, vanilla and blue-green algae. Free from dairy, soya, gluten and refined sugars. 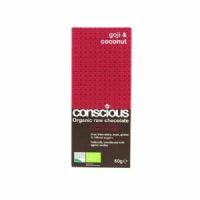 Organic raw chocolate bar with goji berries and coconut chips. Free from dairy, soya, gluten and refined sugars.